The 57 series Generation II air intake, also referred to as an FIPK®: is K&N's ultimate performance product. These performance intakes are designed to increase power by as much as 10 Percent. K&N's easy to install air intake systems replace the restrictive factory air filter and air intake housing allowing for virtually unrestricted air flow. K&N intakes are designed to dramatically reduce intake restriction and improve air flow. This allows your engine to inhale a larger amount of air than the factory air filter assembly. The oversized air filter can be used for up to 100,000 miles before servicing is needed depending on driving conditions. IT IS YOUR RESPONSIBILITY TO VERIFY THAT PART NUMBER MATCHES TO THE ITEM YOU NEED. WE DO NOT HAVE THE INJECTOR CODES NOR DO WE PROGRAM THEM. Condition : New. Solid, top-quality construction for extended protection. Therefore all implied warranties that may apply to your part are limited to the duration of this written warranty. Each warranty gives you specific rights, and you may have other rights which vary from state to state. A car part may have multiple part numbers. For instance, a manufacturer such as Hitachi or Bosch may have a part number which will be on the item itself and then the car manufacturer such as Nissan will assign the part its own part number. 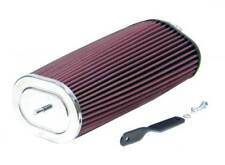 K&N manufactures performance air filters and air intakes for automotive & motorcycle applications around the globe. K&N intakes are designed to dramatically reduce intake restriction and improve air flow. 1991 SUBARU XT 1.8L H4 F/I All. 1990 SUBARU XT 2.7L H6 F/I All. 1990 SUBARU XT 1.8L H4 F/I All. 1988 NISSAN 200SX 3.0L V6 F/I All. 1988 NISSAN 200SX 2.0L L4 F/I All. 1989 SUBARU XT 2.7L H6 F/I All. 1989 SUBARU XT 1.8L H4 F/I All. 1984-1989 NISSAN 300ZX 3.0L V6. K&N intakes are designed to dramatically reduce intake restriction and improve air flow. This allows your engine to inhale a larger amount of air than the factory air filter assembly. Air Filter/Hardware;. K&N intakes are designed to dramatically reduce intake restriction and improve air flow. This allows your engine to inhale a larger amount of air than the factory air filter assembly. Thread Size 12x1.25. -Most of our auto parts are design for US/Canada vehicle. It may fit on foreign vehicle. Anywhere within US. Credit Cards and Debit cards by phone. Product Style : AEM Intake Bypass Valve. AEM parts and accessories are engineered to outperform. Product Box Width : 5.88 in (149 mm). Product Box Length : 6.13 in (156 mm). Product Box Height : 3.63 in (92 mm). Warranty Type:Manufacturer Warranty. Warranty Duration:1 Year. Part Number: 57-6002. (This Spoiler is universal type and can fit on most vehicle with Flat Truck). This is the newly redesigned GT Style aluminum spoiler from RTunes Racing. Improves the center of gravity of the spoiler with redesigned mounting system. 1989 Nissan Fairlady 3.0L V6 Fuel Injection All Models. 1986 Nissan Fairlady 3.0L V6 Fuel Injection All Models. 1988 Nissan Fairlady 3.0L V6 Fuel Injection All Models. 1987 Nissan Fairlady 3.0L V6 Fuel Injection All Models. Black 3.00" Straight 3-Ply Silicone Coupler X1. We only take Cash for pickup. All item send back with out authorization will not be processed. Intake Filter not included! Only the pre-filter cover. Air Filter Cover Size: (Large) 6" Wide x 6" High. Mi2KA logo stamped on top of filter cover. It repels large sprays of water, but it is NOT watertight. Your credit card will be credited for the full price of the product. K&N intakes are designed to dramatically reduce intake restriction and improve air flow. This allows your engine to inhale a larger amount of air than the factory air filter assembly. 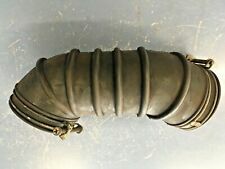 (Most cars will require intake pipe or adaptor to use this filter). 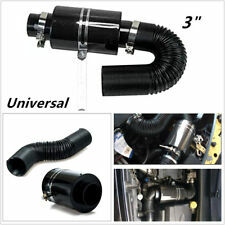 (Fit For 2.50" / 2.75" / 3.0" / 3.25" / 3.5" / 4.00" Intake Pipe). The high flow air filter kit can help your engine to draw more cooler air resulting in better throttle response and higher explosive horsepower output. This is the newly redesigned GT Style aluminum spoiler from RTunes Racing. (This Spoiler is universal type and can fit on most vehicle with Flat Truck). Improves the center of gravity of the spoiler with redesigned mounting system. Intake Filter not included! Only the pre-filter cover. Filter can be washed and re-used. Air Filter Cover Size: (Large) 6" Wide x 6" High. 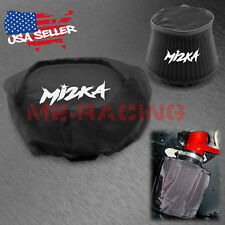 Mi2KA logo stamped on top of filter cover. It repels large sprays of water, but it is NOT watertight.